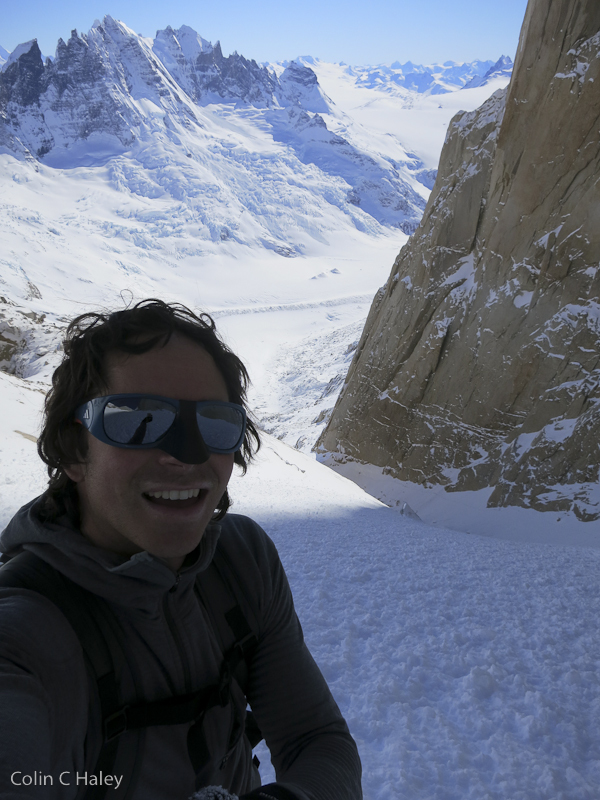 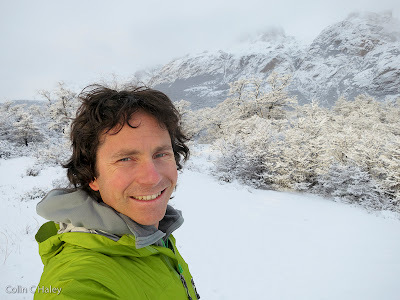 I had a bit of climate shock a couple weeks ago, traveling from the Squamish summer of shirtless sport climbing, down to a snowy, icy El Chalten in mid-winter. 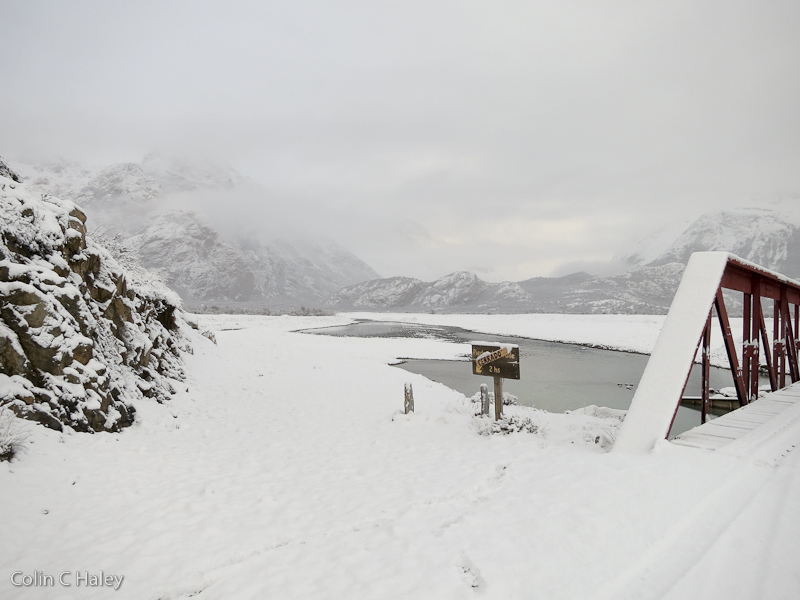 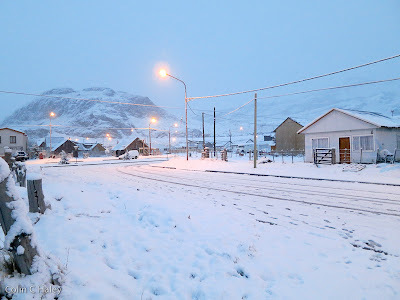 I arrived in El Chalten on August 23, and supposedly proper winter had arrived only a few days beforehand. People around town talked of a "pequeno verano" for all of June and July, with way above normal temperatures, sunny weather, and sport climbing around town. 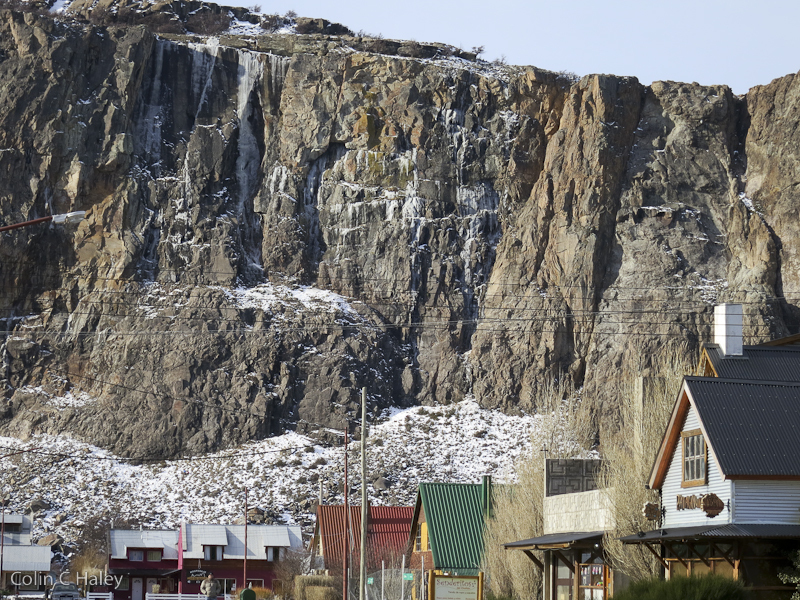 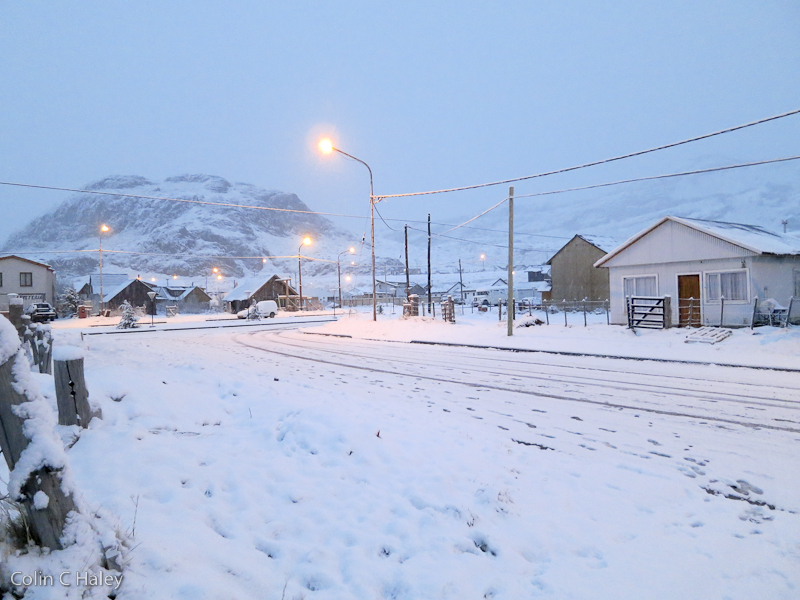 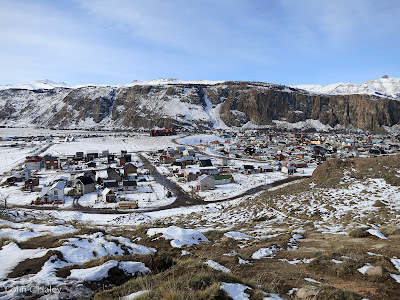 I arrived to find El Chalten covered in snow and ice, with temperatures in town hovering around -10C. 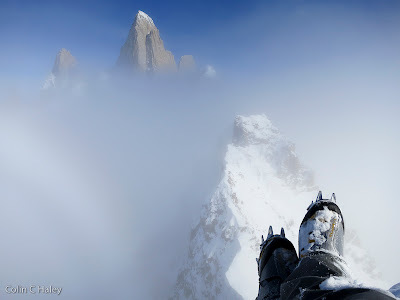 It seems that I arrived too late for giveaway winter ascents, but overall I was glad. After all, I've been thinking for several years that I wanted to come to El Chalten in winter, and it would've been disappointing to find it snow-less! Over the past several years I have spent large amounts of time in El Chalten, and one of the biggest downsides for me is missing a lot of the northern hemisphere winter, as I've always been really fond of wintertime. 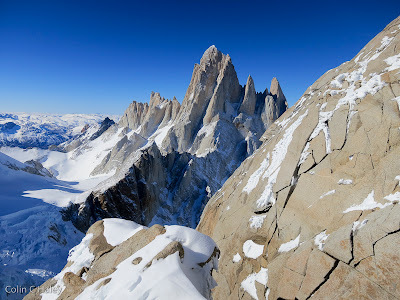 Well, not willing to sacrifice the summer climbing season in the Chalten Massif, obviously I jest needed to get my winter fix down here as well! 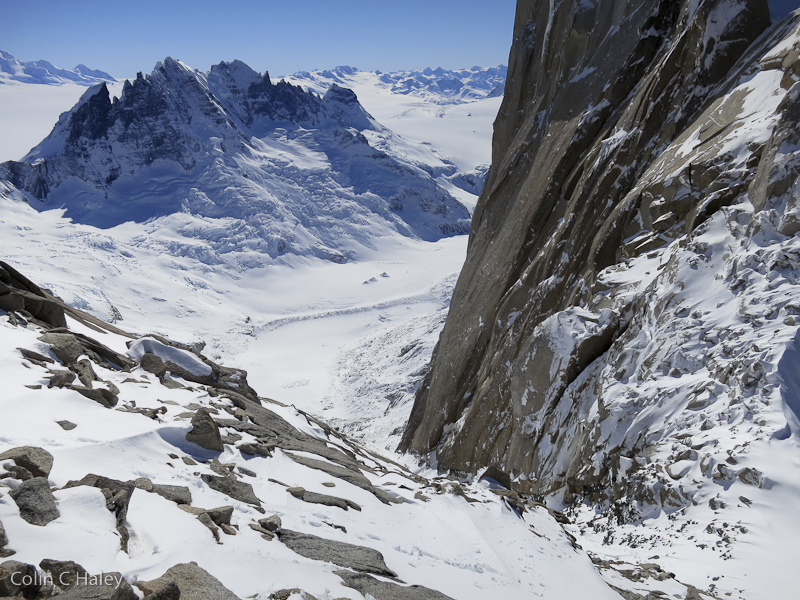 I came down here with some ambitious soloing plans, but so far have been spending my time ticking some classic summits that I've always wanted to visit, but have never been high priority in summertime. 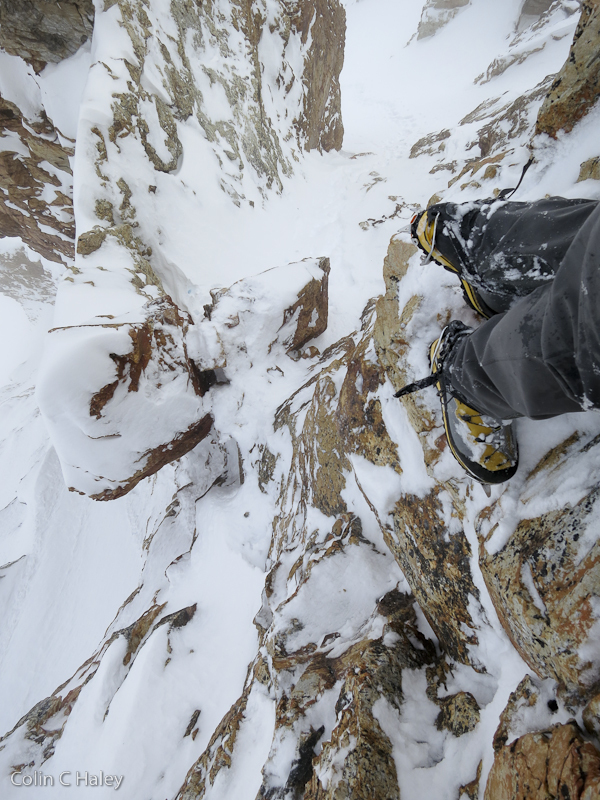 Part of the reason that I've been scaling back my ambitions is because conditions are far from ideal. 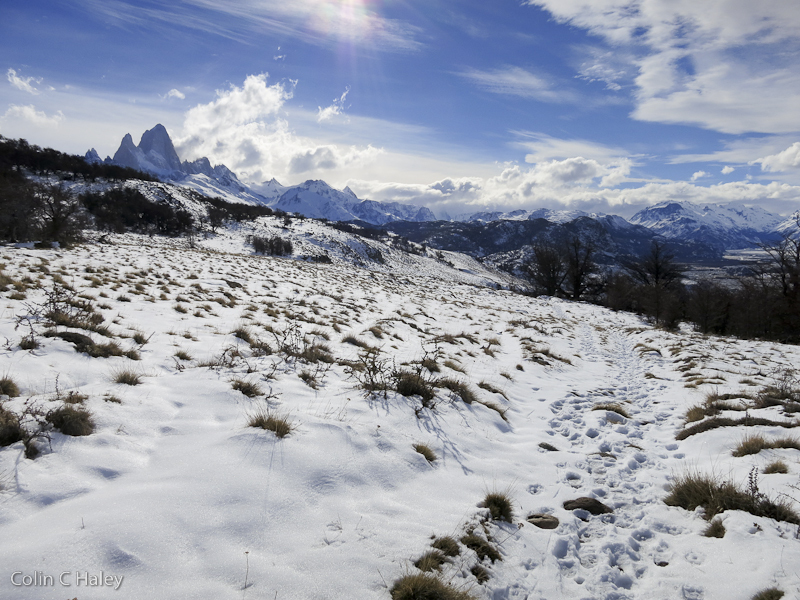 The Chalten Massif saw almost zero snow accumulation all fall and winter, and then a few dumps of snow just recently. 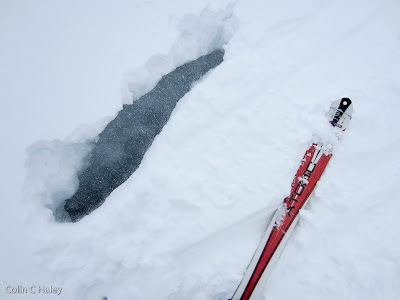 So, the glaciers are in the worst possible condition: crevasses completely obscured by smooth, fresh, wind-deposited snow, but with snow bridges that are very thin and weak. 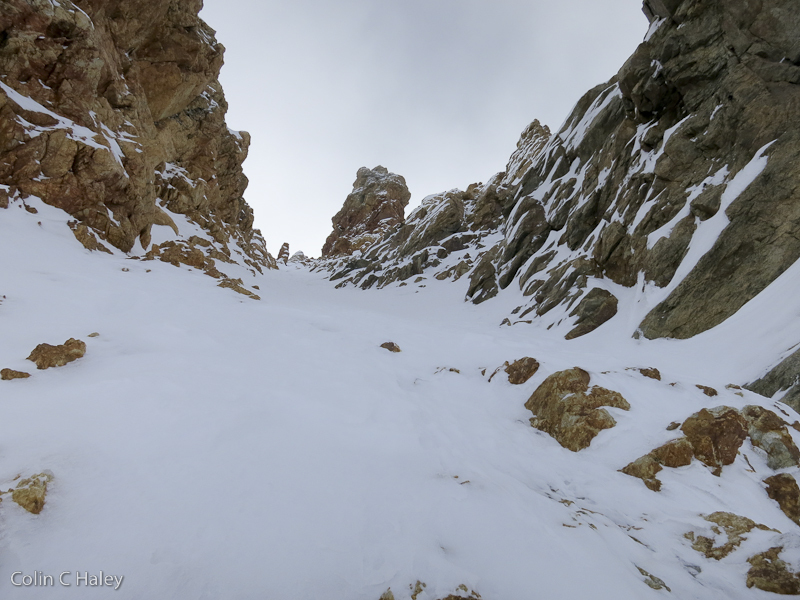 In addition, ice conditions on the peaks are very poor - mostly it is just powder snow on dry rock. 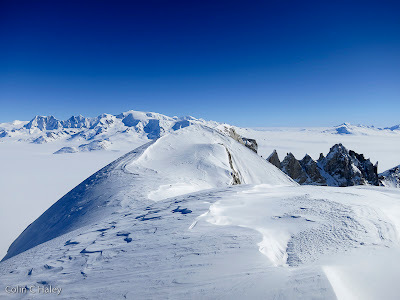 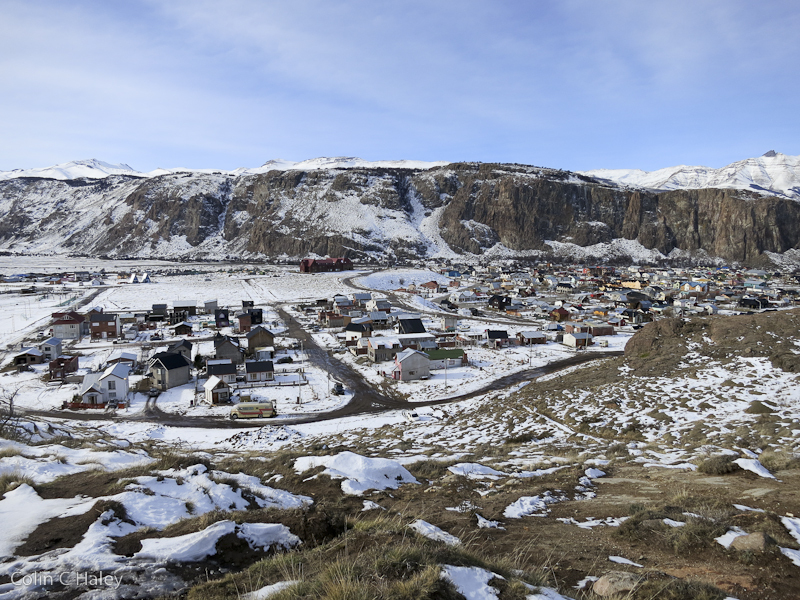 During the first spell of good weather I headed out towards the ice cap with a heavy backpack full of climbing gear. Shortly below Paso Marconi I poked my ski pole through a snowbridge and decided to turn around. 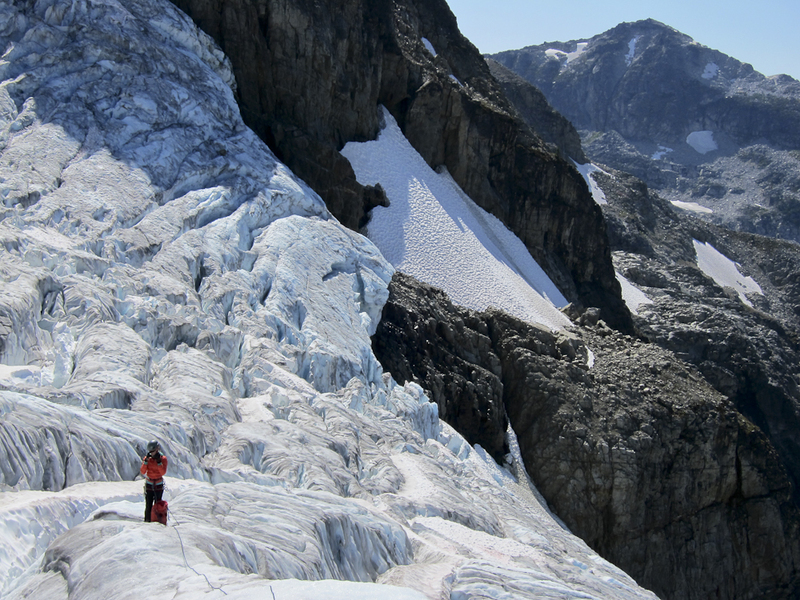 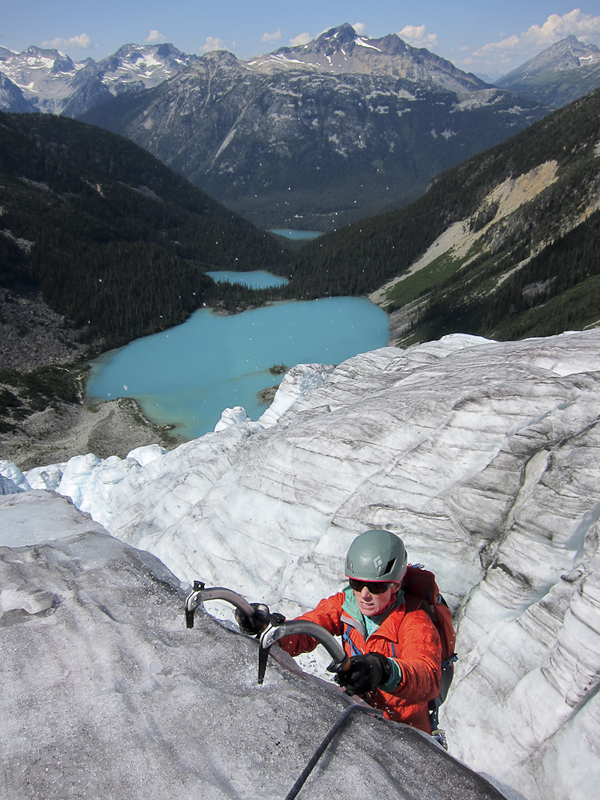 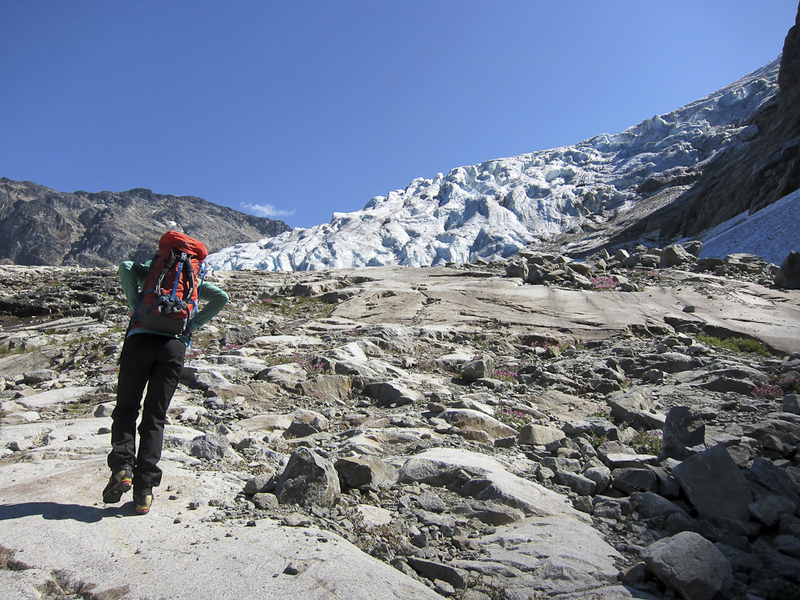 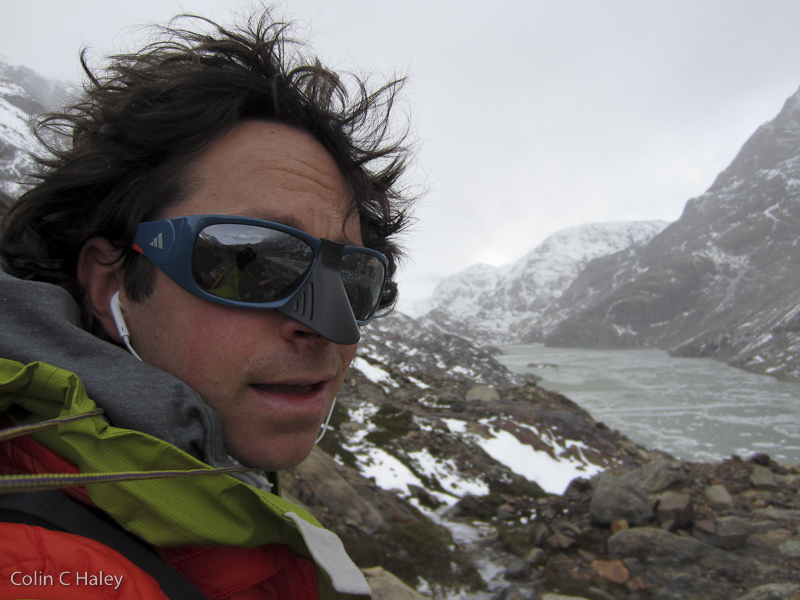 When a second spell of good weather appeared in the weather forecast, I hiked into the Marconi Glacier on Sept. 1st. 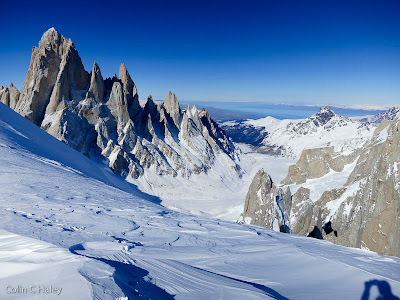 The next day, my twenty-ninth birthday, I romped up the original route on Cerro Domo Blanco with immaculate weather. 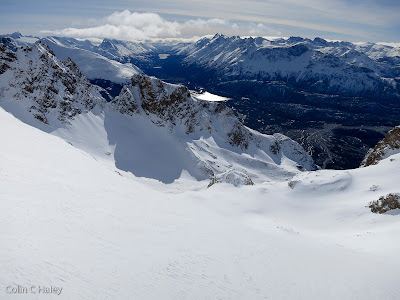 The route is technically quite easy (some 50-degree snow ramps and a bit of 3rd-class mixed terrain), but I was still quite stressed, constantly worried that a pocket of snow on the ramp system might avalanche and send me over the cliffs below. 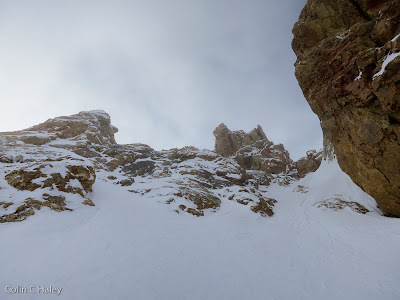 Thus, in many areas where I could've easily loped along, I carefully hugged the rock walls, brushing snow off of holds so that I could hang on in case a slab ripped out. 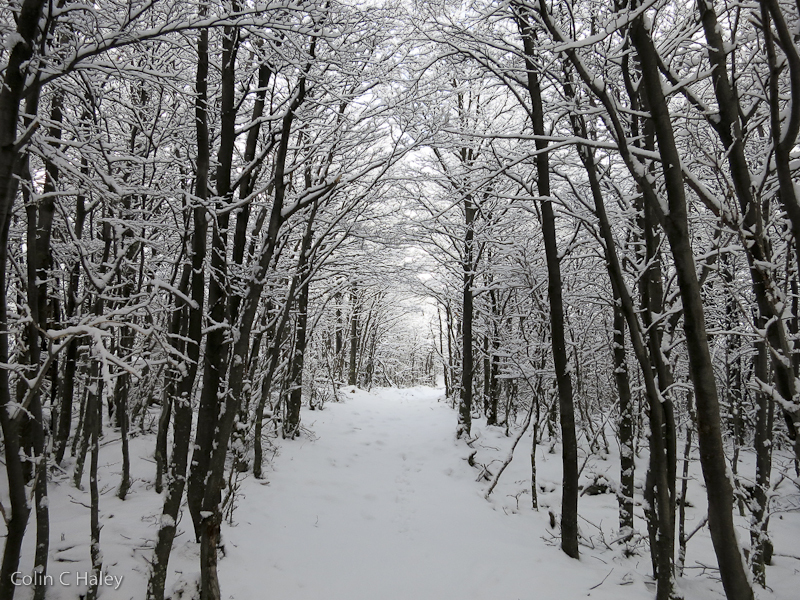 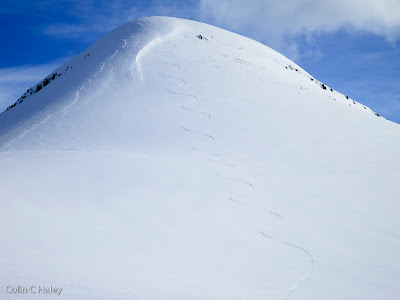 Perhaps I was being paranoid, but despite the extra care, and despite plenty of trail-breaking through deep snow, I topped out with plenty of time to spare. 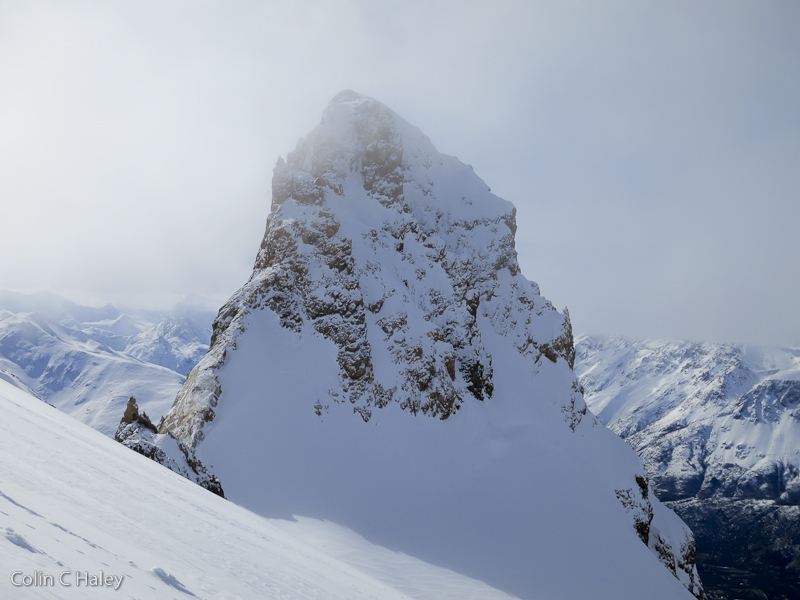 Domo Blanco is very centrally-located in the massif, and the views from the summit are fantastic! 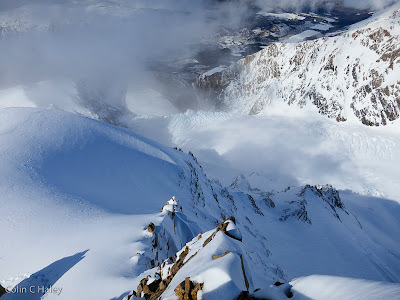 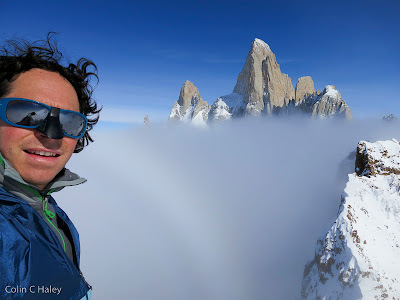 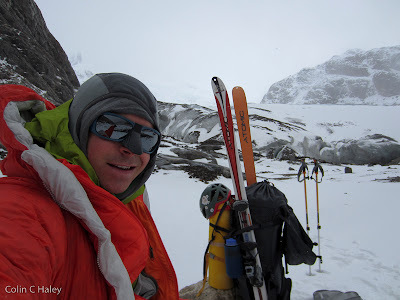 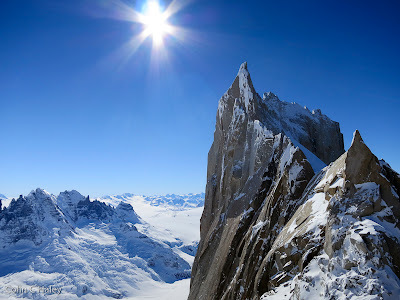 On September 6 I used a shorter, more marginal weather window to climb and ski Cerro Electrico. 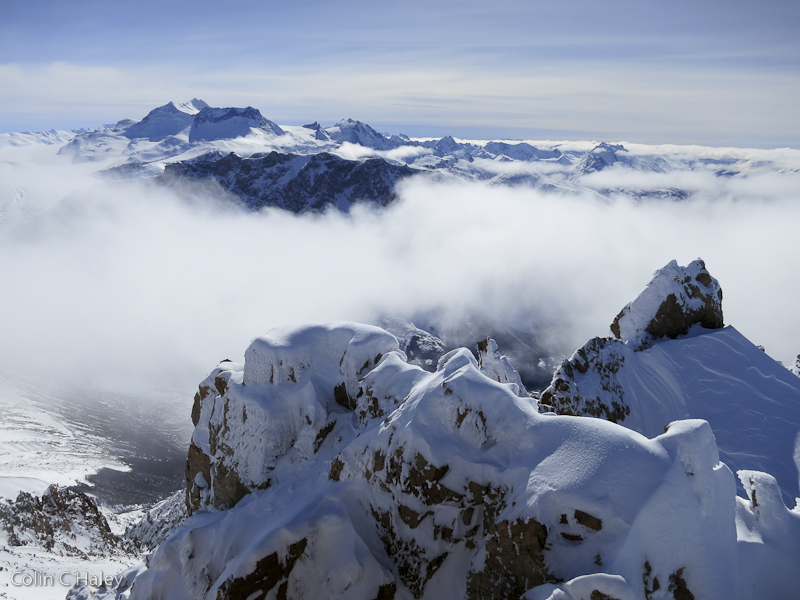 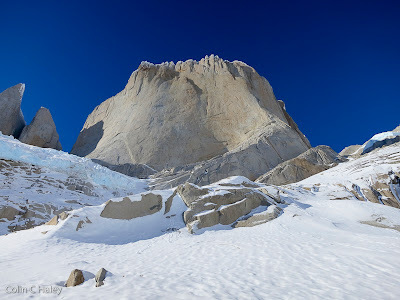 Cerro Electrico is a humble peak amongst the fantastic spires of the Chalten Massif, but its big selling point is the shortest approach of any alpine peak around town (Cerro Solo and Aguja Guillaumet are much longer. 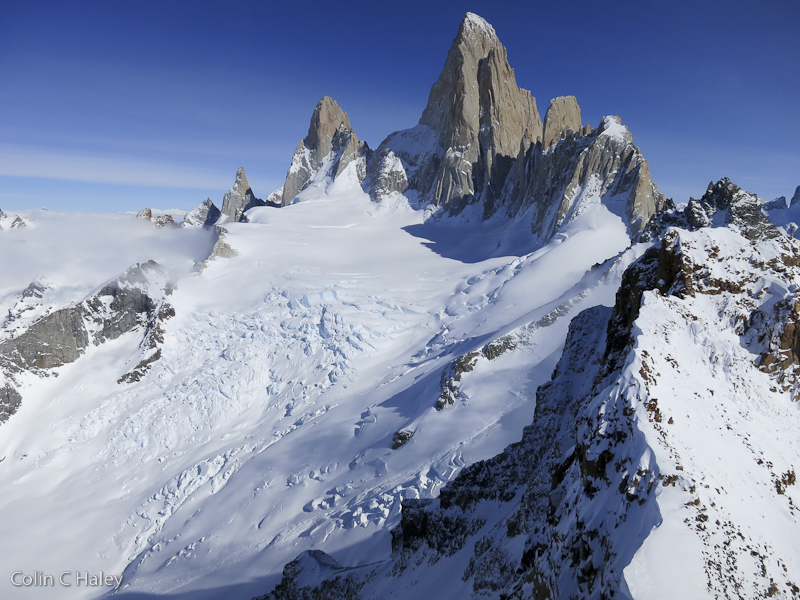 Only Cerro Vespignani compares). 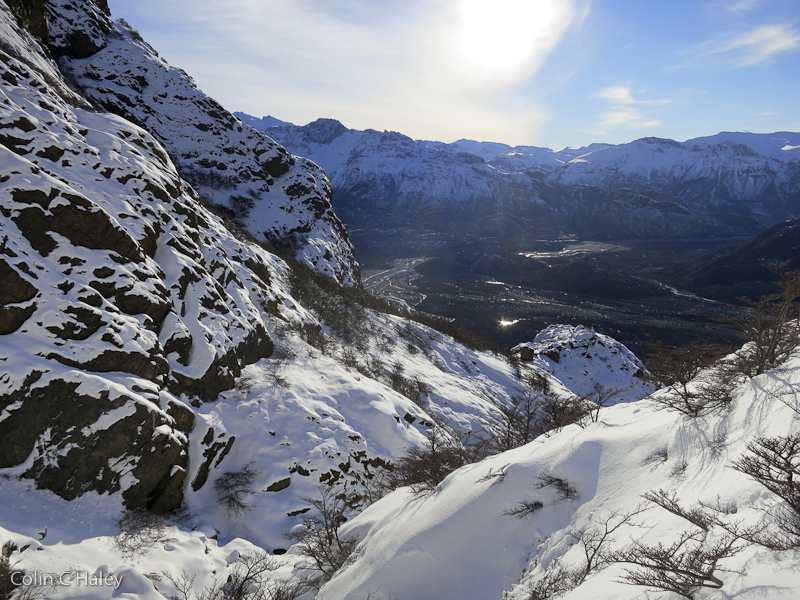 You start rapidly gaining elevation after only 30 minutes of valley-bottom hiking. 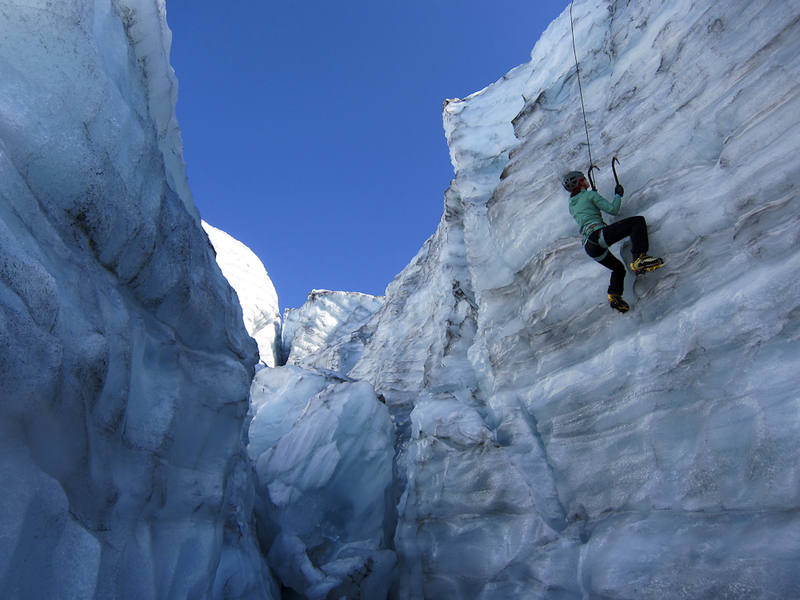 Via the normal route on the eastern side, Cerro Electrico is a mellow glacier climb, perfect for ski mountaineering. Visibility was in and out for most of the day, but on the summit I got some spectacular views of the Chalten peaks. 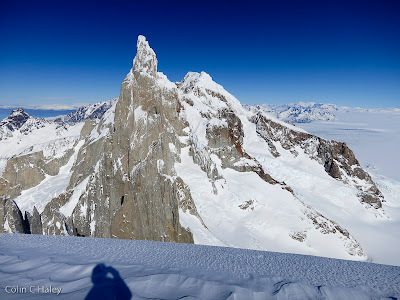 After tagging Cerro Electrico's main summit, I decided to try the northeast summit, which is quite prominent when viewed from Piedra del Fraile or Piedra Negra. 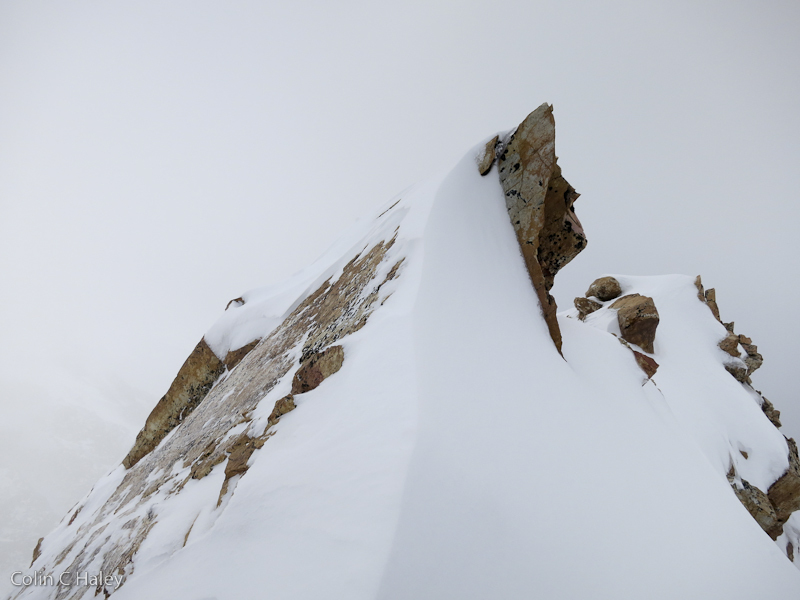 From the glacier on Cerro Electrico's normal route, the northeast summit is just a small, 4th-class rock pyramid. The line that I climbed had a bit of M3-ish climbing, which demanded attention mostly just because it was covered in powder snow. Without a rope I didn't really want to down-solo that M3-ish bit, and found a slightly easier way to climb back down. Rumor has it that the northeast summit of Cerro Electrico was previously unclimbed. For sure that's not because of its difficulty (it's just a short, 4th-class detour from the normal route), but simply because, like many still-unclimbed summits in the massif, there hasn't been interest. Anyways, "Cumbre Noreste" isn't really a name, so I'll refer to it as "la Cumbre Roja," which is descriptive, and likely what many people already call it. 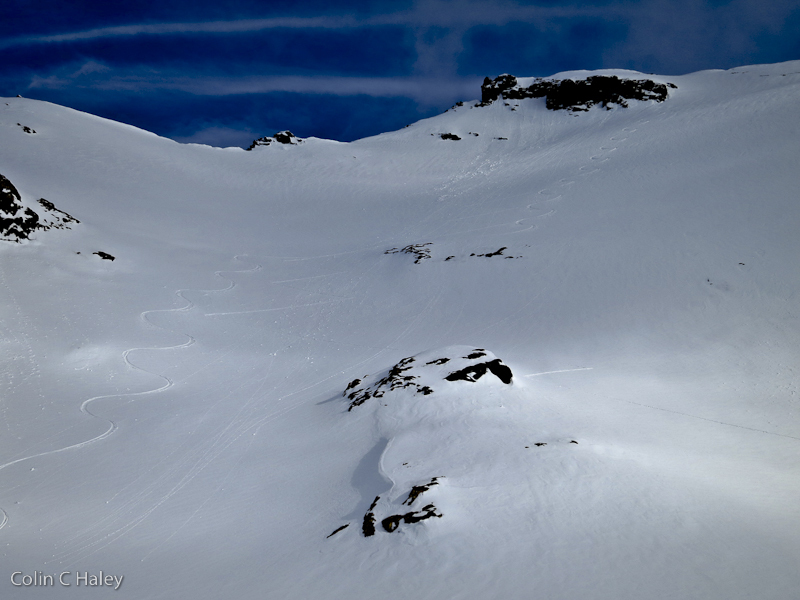 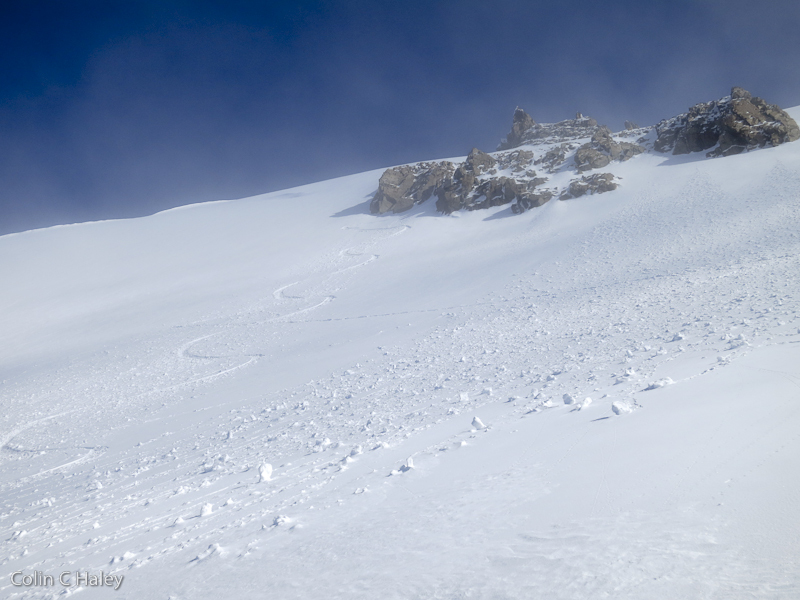 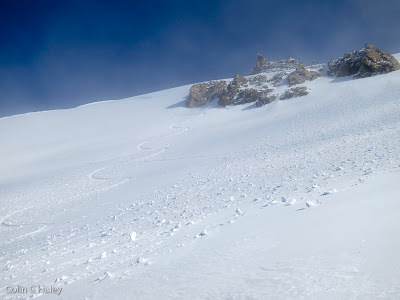 Not the best snow up on Loma del Pliegue Tumbado, but the best snow I'd ever skied in August! 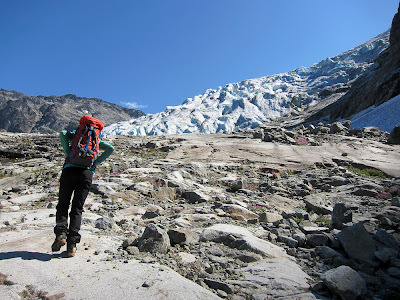 Taking a break from my way-too-heavy backpack at the base of the Marconi Glacier. Not much snow for late winter! Yeah, that's not a bad view! 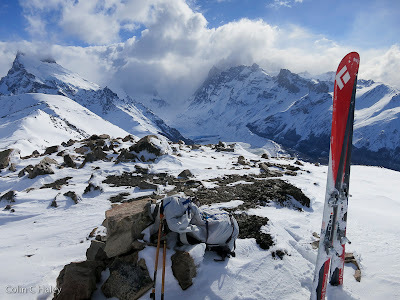 The snow was far from perfect, and I was on my approach skis in mountaineering boots... but skiing is skiing - that is, freakin' fun regardless! La Cumbre Roja. 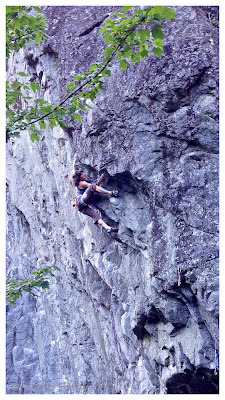 I climbed up just left of the central rib. 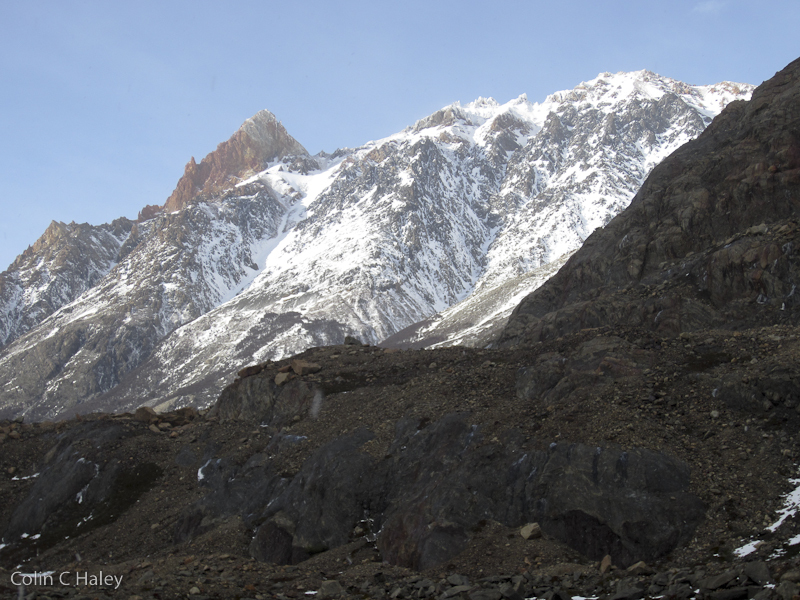 This photo is from down in the Electrico Valley during my first trip up towards Paso Marconi. 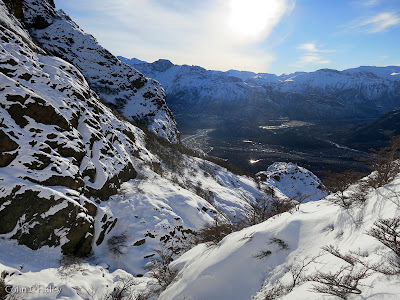 La Cumbre Roja is the obvious red summit. When I finally finished university in early 2009 I was just about ready to explode, and for the next three years I was nearly always on back-to-back alpine climbing trips, making extended annual visits to Chamonix, Alaska, Pakistan and Patagonia. 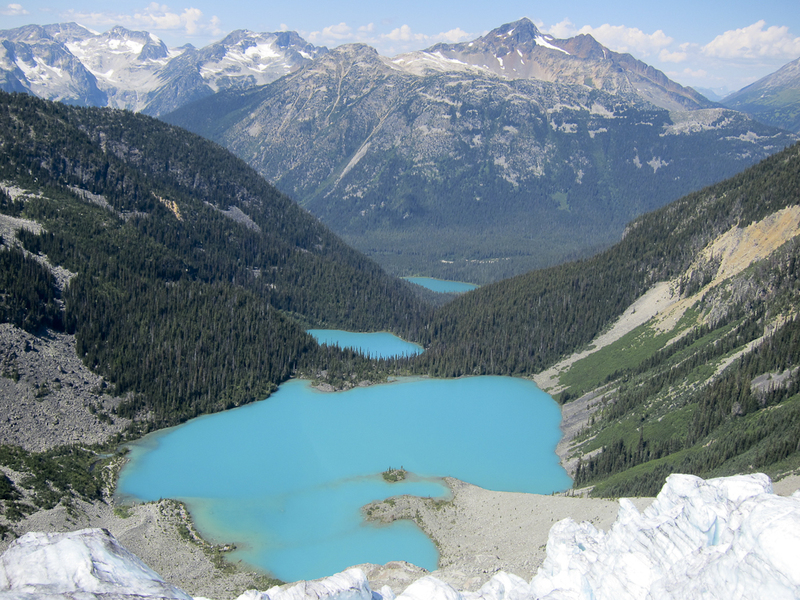 For three years I think I averaged about 180 days per year on glaciers! 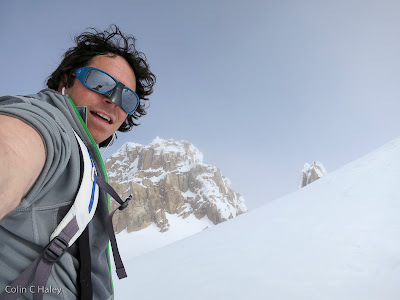 It was an amazing stint, and I felt very happy to be following my dreams in inspiring places. The one problem, however, is that I was progressing very slowly as a climber. 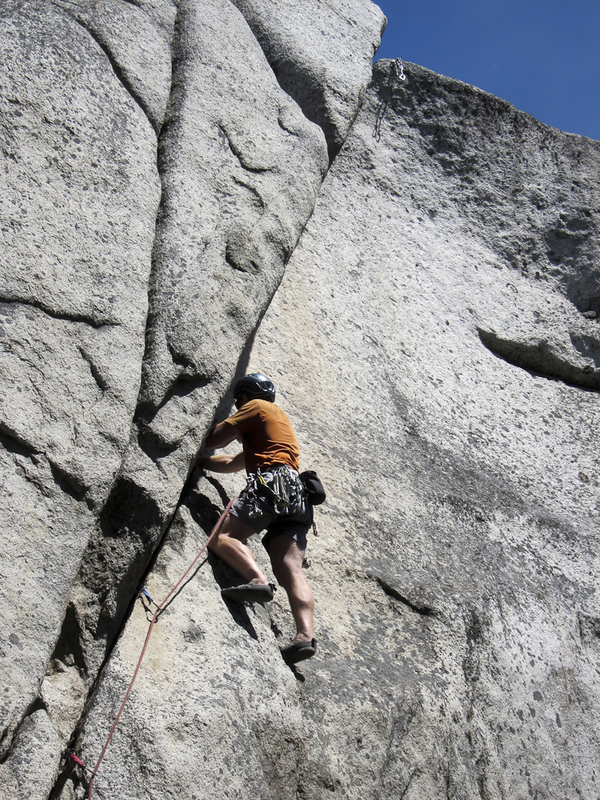 One paradox with high-level alpine climbing, is that to some degree the more you do it, the worse you become at it. It is pretty standard to come home from an alpine climbing trip, especially one at high altitude, in worse physical fitness than when you left, particularly for hard technical climbing. 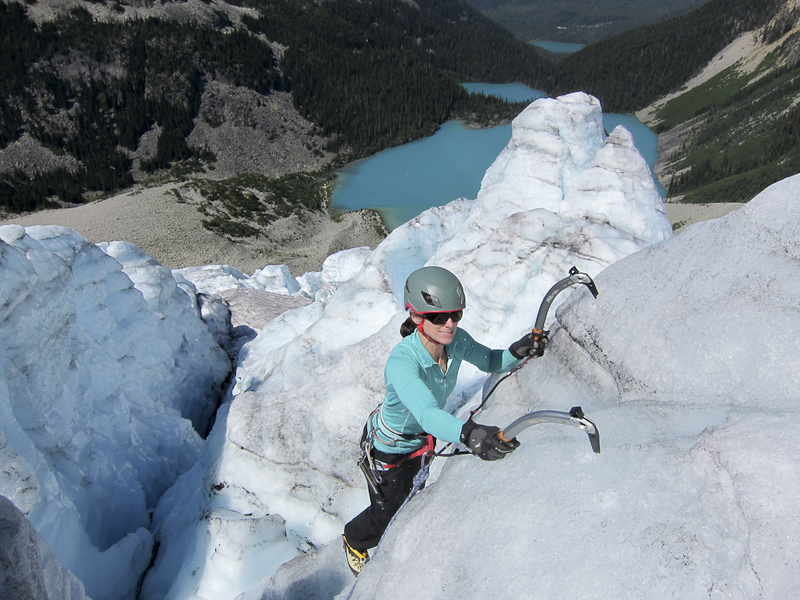 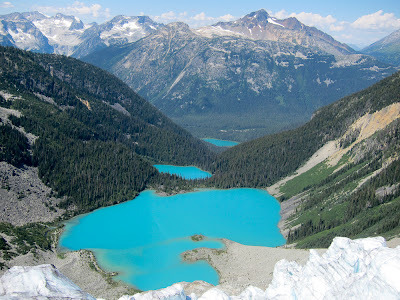 I have been sleeping in snow caves since I was ten years old, climbing glaciers since I was eleven, and throughout highschool and university I spent a humongous amount of time alpine climbing in the Cascades. Thus, I developed a massive alpine experience repertoire when I was young, but unlike most serious climbers my age, I missed out on the rock training. 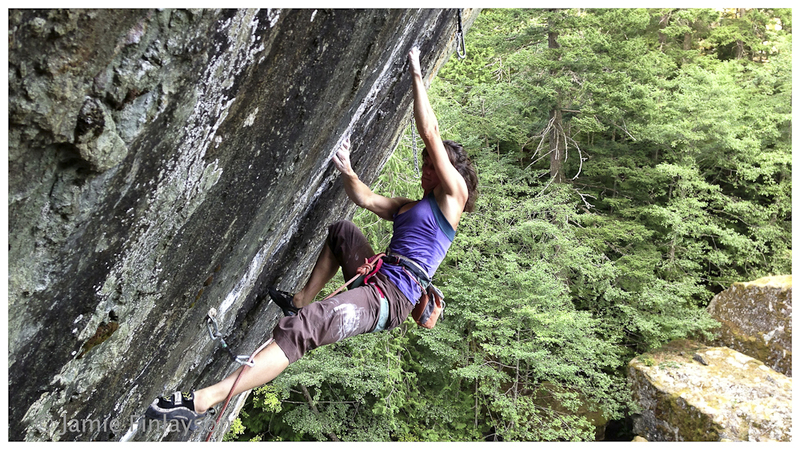 I didn't start semi-regularly visiting a climbing gym until I was nineteen, and I never tried redpointing (as opposed to making an onsight attempt then moving on) a sport route until I was twenty-two, when I climbed my first 5.12a. 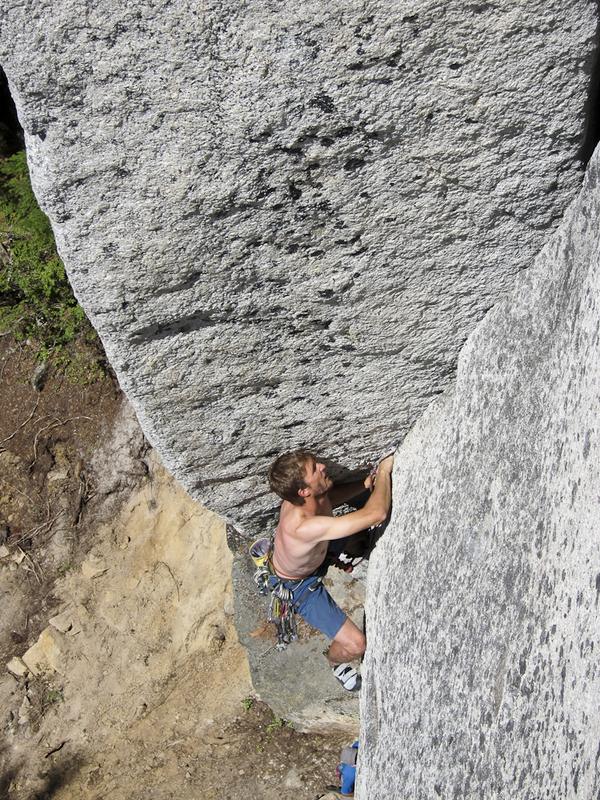 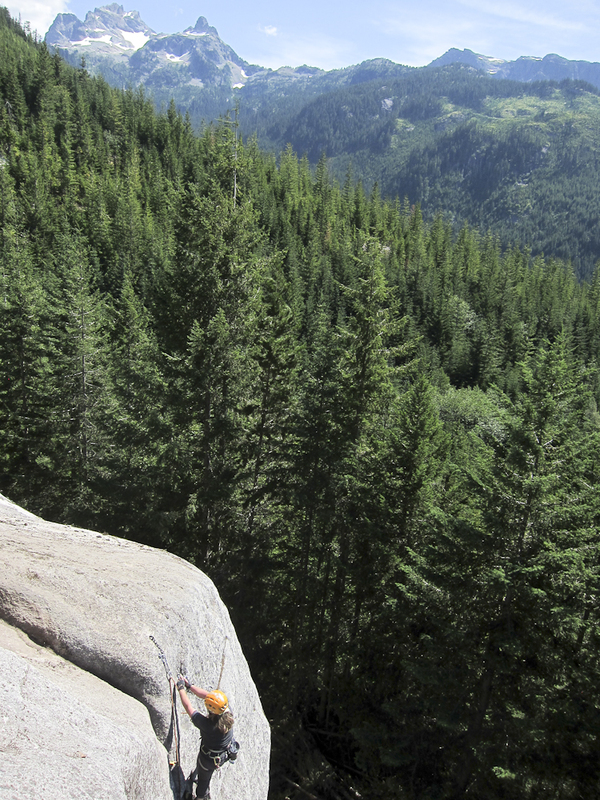 Hard free-climbing continues to be my greatest weakness as an alpinist, and therefore where I have the most space to grow and improve, and I find that personal improvement is always very motivating. 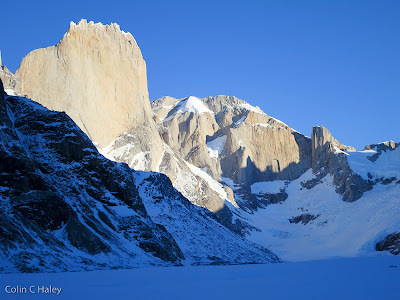 A couple years ago I made a conscious decision not to visit the Himalaya for a few years, and instead focus all my energy on Patagonian alpinism in the austral summer, and training to improve myself as a climber during the northern hemisphere summer. 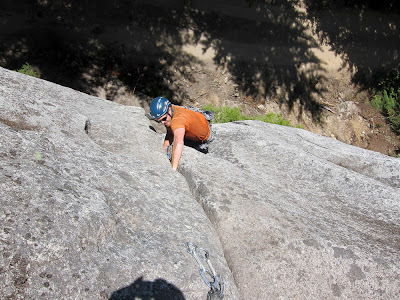 It's not that I burnt out on back-to-back alpine trips - quite to the contrary, I have to remain disciplined to NOT constantly plan alpine adventures, and instead dedicate myself to rock climbing for the bulk of the summer. In essence I am sacrificing some opportunities to try amazing objectives, with the hope that while I may attempt fewer objectives, I will be more skilled, and attempt more difficult objectives. So, 2013 has been the third summer in a row that I have spent mostly training in Squamish. I do really consider it training, but I guess that the word "training" doesn't really do justice to enjoying myself on world-class boulders, sport climbs and trad climbs. 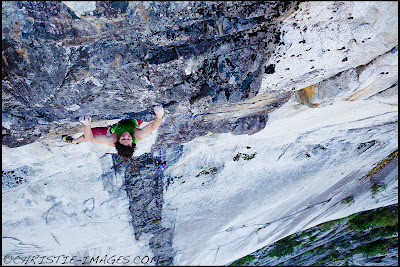 Add in the best weather in North America for the months of July, August and September, and the fact that my wonderful girlfriend lives in Squamish, is a hard rock climber herself, and is keen to rock climb with me all summer, and I can deal with missing out on the Himalaya for a few years! 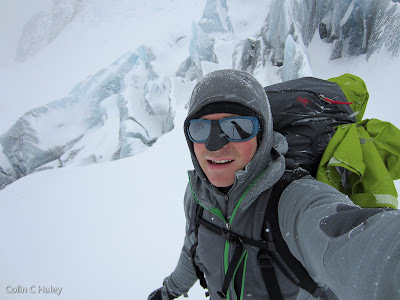 I had a bit of a setback this spring when I fractured my cheek-bone in the St. Elias mountains, but all in all I had a good head-start on my rock climbing season this year by not spending 60 days in the Central Alaska Range! 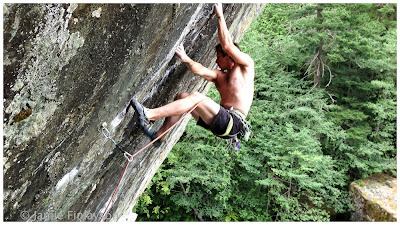 My springtime head start, combined with a bunch of time spent sport climbing this year, has resulted in some of my best "sends," and of course it's always nice to get a bit of positive confirmation that my "training" is working! A week or so ago, Sarah sent the classic highball boulder problem that we'd been trying, "Resurrection" (V9), and then this past Saturday I managed to send it as well - my first V9! 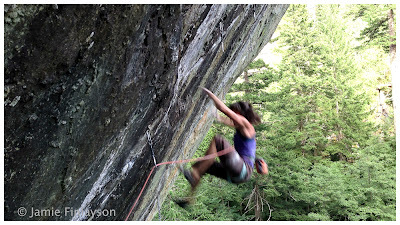 The next day (yesterday), the unhealthy frequency with which we've been going sport climbing was justified when I sent "Freewill" (5.13c), by far my hardest redpoint. 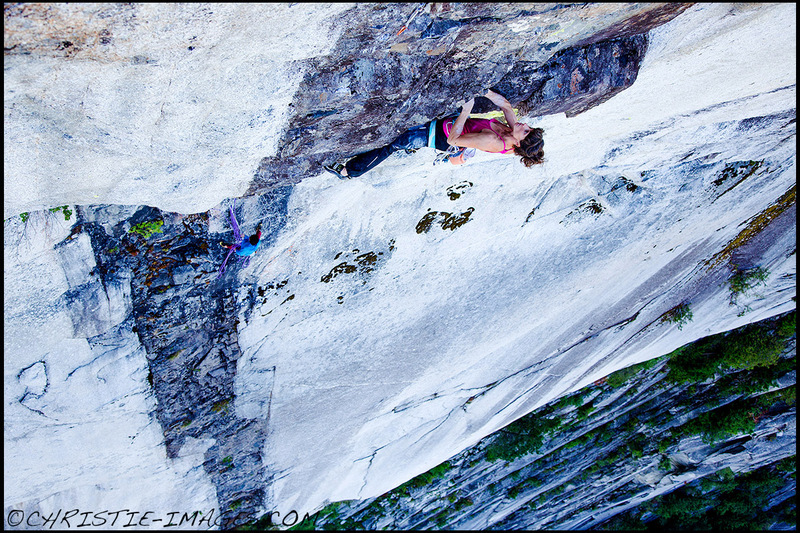 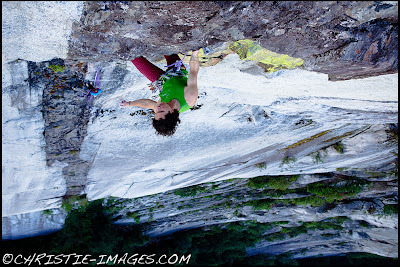 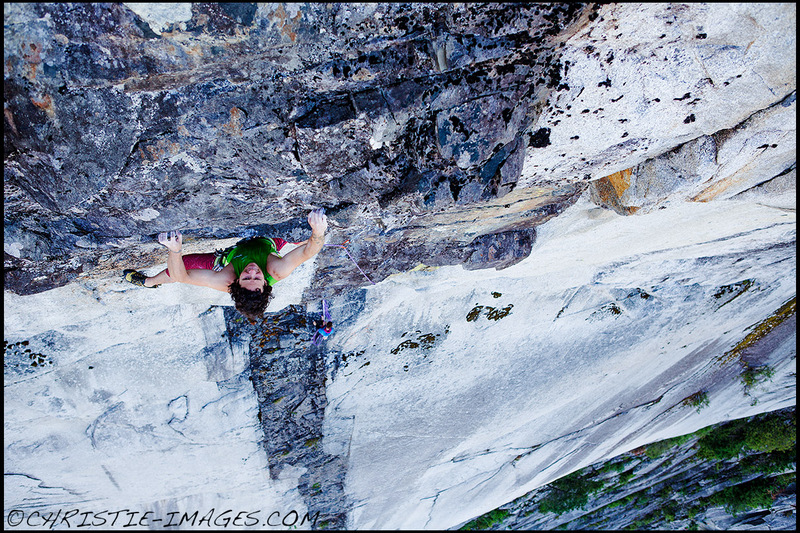 "Freewill," on The Big Show wall, was established in 1995 by local Squamish badass Jola Sandford, and at the time was one of the hardest routes in the world established by a woman. 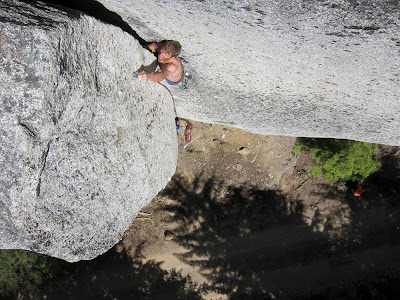 It is a one bolt and one boulder problem extension of "Gom Jabbar" (5.13b), established in 1993 by Keith Reid, the first person to realize the potential of The Big Show. 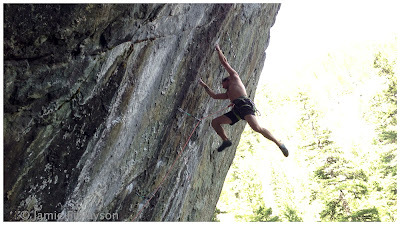 It is a bit comical to have redpointed 5.13c, as I've only ever climbed two 13a's before, and I've never climbed 5.13b. 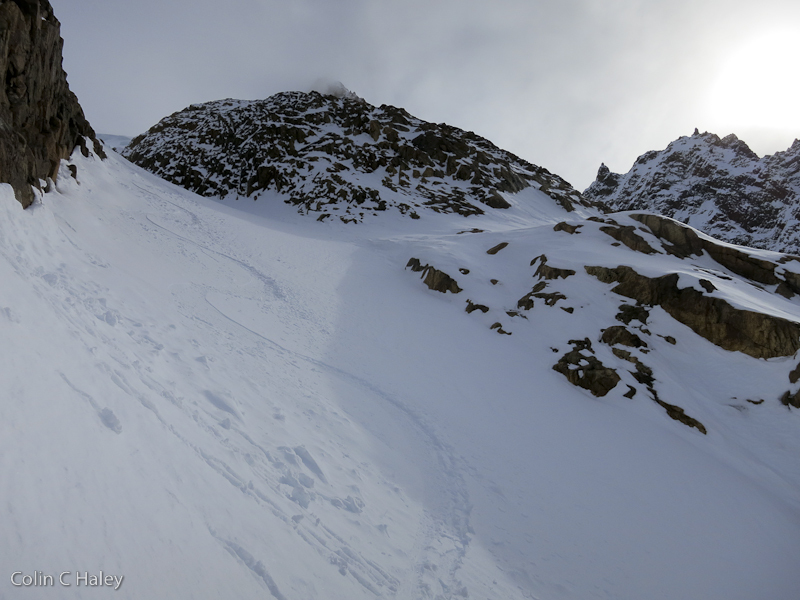 Having put in about 18 tries goes to show how much of a difference extensive rehearsal makes. 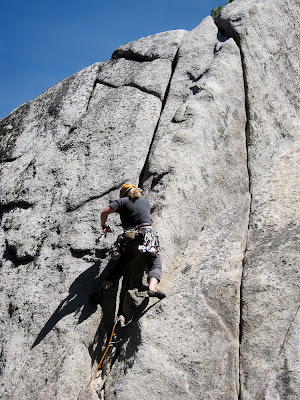 Aside from ruthless rehearsal, I think the only reason I redpointed a grade so far above my normal level is because "Freewill" caters exactly to my strengths. I am generally a weanie when sport climbing, always scared to fall, but "Freewill" is so radically overhanging and the falls so obviously safe that for once I could let go of my fear completely. 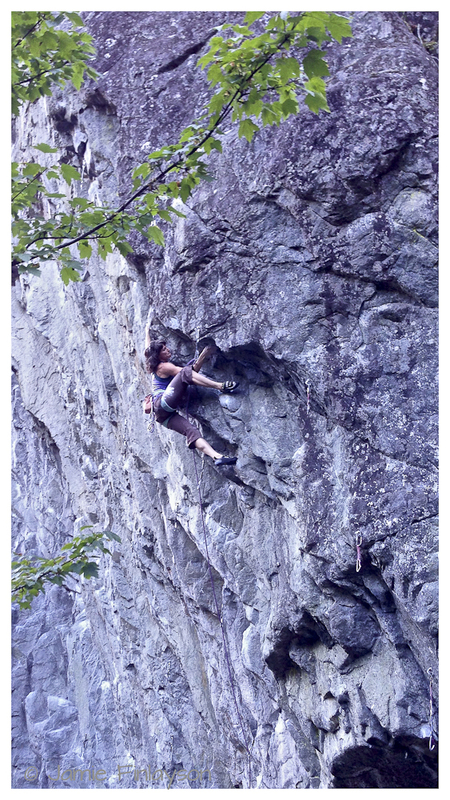 The route is also largely about endurance (the hardest moves are only V5 I'd estimate), which is generally a strength of mine. 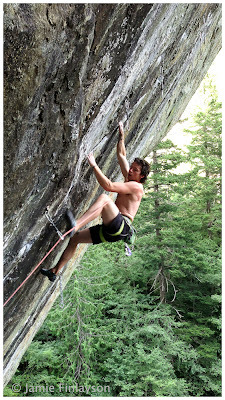 And lastly, the crux sequence is powerful moves off of sinker fingerlocks, and I've always felt better on fingerlocks than any other type of hold or jam. The experience of redpointing a hard sport climb has certainly been rewarding, and I'll definitely try to do it again, but it also makes me realize just how specific the accomplishment is. So, now I've "sent" a 5.13c, but I'm sure I'll still get gripped leading 5.7 chimneys on El Cap, and I'll almost certainly get a big smackdown any time I try to onsight 5.11 at Index. Just goes to show that the numbers don't really mean all that much compared to the context - onsight vs. redpoint, sport vs. trad, finger cracks vs. offwidths, Index grades vs. Kalymnos grades, etc, etc, etc... But, anyways, it's been fun training! 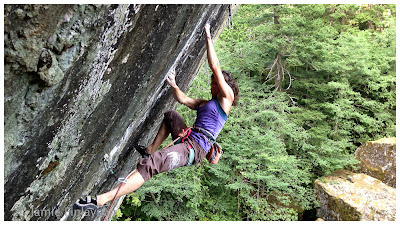 Sarah sending "Heifer Down," (5.12d), at the same crag. Photo by Jamie Finlayson.